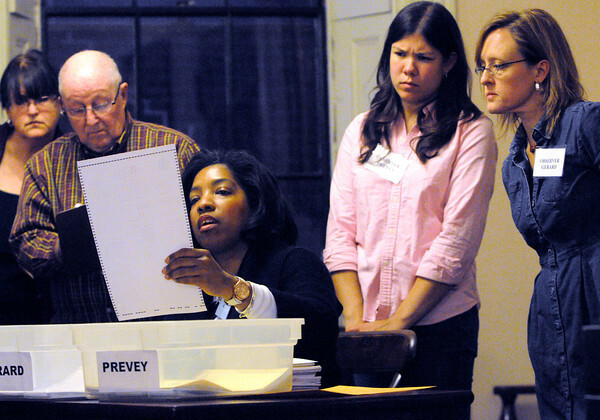 Rochelle Sport, who works in the city election office, examines a ballot with others looking over her shoulder during the election ballot recount at Salem City Hall. Councilor Paul Prevey requested a recount of the ballots from Nov. 5. Photo by Ken Yuszkus / The Salem News, Monday, November 25, 2013.